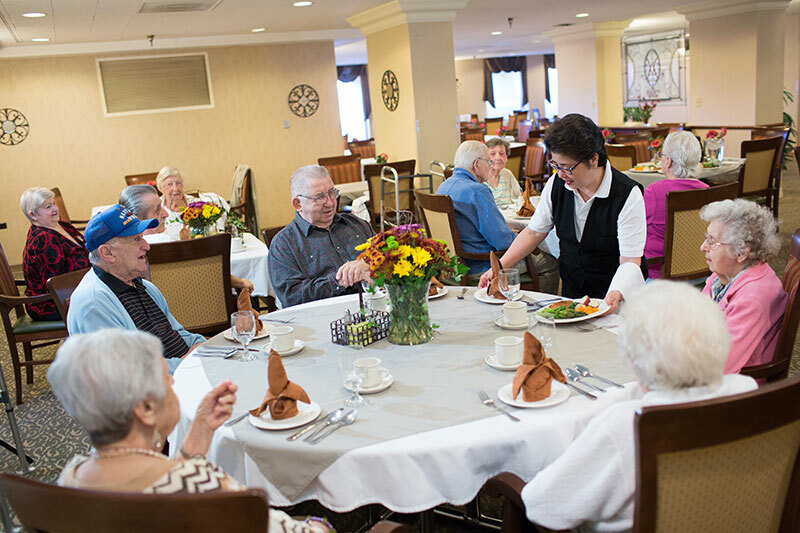 Generations at Oakton brings a whole new dining experience to our residents. Delicious lunch and dinner are served daily in an elegant, restaurant-like dining room. 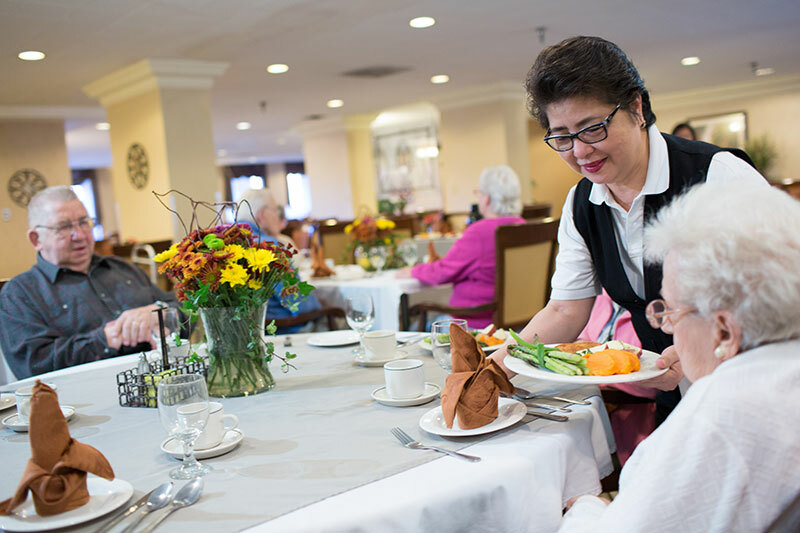 Residents enjoy meals created with all fresh ingredients by our experienced kitchen staff who make each meal to perfection. The Bistro offers more dining options. The trained dietary staff at Generations at Oakton goes to great lengths to prepare great food that is tasty and healthy for the heart. Our staff uses blends of herbs, spices, and high quality ingredients to create great meals just like at home. In short, Generations at Oakton smartly designed environment can remind residents of the comforts of home.